SOULCURE IS A VERY NICE PROGRAMM WHO I WATCH SUNDAY EUROPEAN TONIGHTS!!! Watch live streaming video from soulcuregospelradioshow at livestream.com" href="
at 4:00PM (EST) for a repeat broadcast. Don't miss it! www.ucb.co.uk at 3:00PM (EST) every Saturday. THE ROOTS KITCHEN is open! CARIBBEAN GOSPEL SURF- Raisin' De Praise Caribbean Stylie! En Sound Entertainment is now the largest indie gospel music website in the US and the En Sound Music Awards (for Indie Gospel Artists) is swiftly becoming a household name not only in the US but overseas as well, and the largest of it's kind in the US only in its second year!!! Now, Delroy has launched a second station, Caribbean Gospel Surf, (WCGS) to bring more exposure to Caribbean Gospel music globally. He is hoping to gain success with WCGS as he's done with En Sound Radio! which has a global audience that spands over 70 Countries and thousands of listeners each month. His mission is simple, to reclaim the music, quality Caribbean Gospel music of all different styles, thus the station slogan, "Raisin' De Praise Caribbean Stylie". "I have never fully embraced Caribbean Gospel in the past as a Jamaican/Caribbean person because the quality was poor. Today we have many artists who have gone the extra mile to bring quality to our music like Wayne Stoddart, Septimus, Chevelle Franklyn, Sherwin Gardner and others" Delroy Said. Now that I have made an impact on the US Gospel scene, hopefully it will be the same for the Caribbean Gospel scene here in the US and elsewhere. "I commend those who have been doing just that like Mr. TM out of Trinidad and others, but there's room for much more as well", Says Delroy. Visit the site at: www.ensoundentertainment.com/wcgsradio.htm or www.ensound.net to listen. A site dedicated to Caribbean Gospel music is forthcoming. GOSPEL AND CHRISTIANREGGAE TOO !! 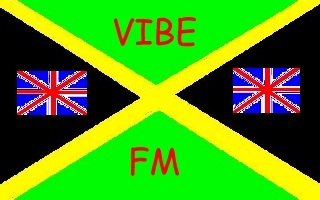 VERY GOOD RADIO FROM ENGLAND WITH LIVEVIEW!!! THEY PLAYING GOSPELREGGAE TOO - LOOK AT WEEKEND ! !